2019 Registration Guide is Here!! 2019 Registration Guide is Here! This is no April Fools joke...hot off the press and en route to your mailbox, our 2019 Registration Guide is on the way! Twenty-eight pages chock full of class information and schedules, the Registration Guide also includes dates for this summer's Cove Walks, Open Sailing/Kayaking sessions, 5K/1K Road Race, Reid Sacco Family Regatta and two open swim events for families. A big THANK YOU to everyone who provided feedback at the end of last summer - with your suggestions we have added some fun new classes this year - please continue to send us suggestions! Learn all about our new and expanded offerings -- Fitness, Batik Art, Surf Art,and Laser Sailing -- and find the schedules for all your usual KBIA favorites as well. The Registration Guide is available online in its entirety and also broken down by age and week. With over 50 classes being offered, there are many options to explore. For a complete list of class descriptions be sure to visit our website. Registration officially opens today - Monday, April 1...we look forward to hearing from you! Join us for a summer of fun! Sign up for a 2019 KBIA Membership today! The 2019 Membership Form can be found on our website here and also included in the 2019 Registration Guide being mailed to you. All are welcome to join! It is the continuous generosity of KBIA members and friends that enable us to provide children the same safe, fun, beautiful, and nurturing learning environment that has been provided to generations of children, while allowing us the opportunity to grow and improve our programs. 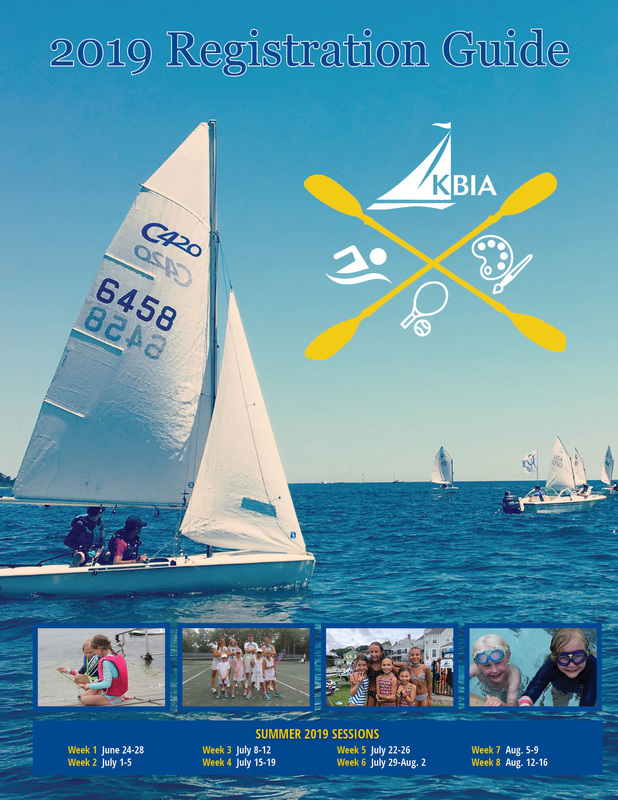 Annual membership fees help support KBIA’s programs. We’re proud to be a place that lets children be children and lets them explore the vast and rugged beauty of the Coast of Maine in summer, while building knowledge, leadership, and respect for themselves, others and their world. We’re particularly proud of the scholarships we offer to children in the Kennebunk area who might otherwise not be able to take advantage of our KBIA enrichment programs, and of our many other community endeavors. Membership fees remain a crucial element for us to achieve operational breakeven, to allow us to provide local scholarships, and to keep the cost of classes down. All of us at KBIA thank you for your continued backing and generous contributions. We would not be able to provide exemplary programming and quality instruction without your generosity. Follow the fun on our Facebook page and Instagram! We also welcome you to share all the fun you're having with us at KBIA, tag @kbia1910 or #kbia1910 - we can't wait to hear from you!